Khaosan Road is ever famous street that every one shouldn't miss it. There are good and bad things on this area (We won't go through it.) As I've read many blogs and articles about Khaosan Road, the trend is going up (Bad stuff included .). So don't be negative, anything can happen anywhere. It depends on your care about your journey. So let's get started for a brief about Khaosan Road. Khaosan is kind of like street where many Thai sellers are selling goods such as something to eat, drinking, shopping, services. Many stuff in cheap prices. (Very interesting). Even though Thai sellers will get this advantage of you're foreigners, then increasing prices a bit, but still remaining cheaper. Moreoever, there are parties at night every night to whom want to enjoy these parties with many friends from all over the world, you should go there plus they are free. (I mean they are not from Thai tours at most.). and the atmosphere here is very familiar to many contries, Let's say it's international feeling. 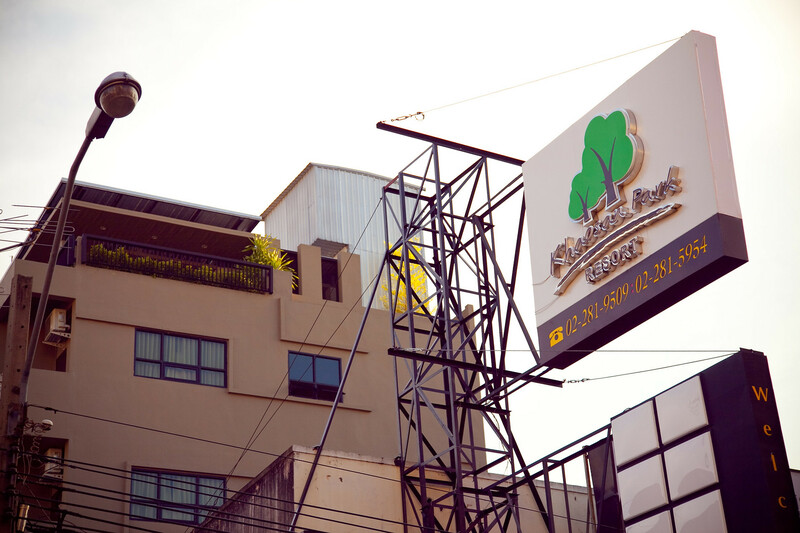 Okay Let's begin the first hotels and hostels which are close to Khaosan Road or inthere. The 3 and half star hotel, Khaosan Palace Hotel is located in a good location which is Khaosan Road, the overall of reviews are remaining good 7/10 from Agoda reviews (very good.). The most positive reviews are about good location (and beautiful picture just kidding). Some of visitors said it was good because of good location, services, breakfast. And some said it was too noisy, let me guess it's kind of like the remaining party from Khaosan Road and still held up inthere. So it comes to the negative reviews. There are reasons like bad services from servants. (Strange right? As a result of someone said it was good, the other one said it was bad.) So it's based on your luck now. I hope you won't experience it. I look pretty negative on this place, but chose it because the overall remains good to choose, and for me this hotel is beautiful. The chosen one, the 3-star hotel, Khaosan Park Hotel. It's a good one too, based on more over 800 reviews from Agoda. It's in the up trend. And the problems remain the same here in Khaosan road. Noisy ever place . Yeah well-know noisy place, hard to fix it. And more problem is still service-minded staffs there. (This is another problem which is so so hard to fix, uncontrollable.) So let's experience then and the world what's going on there! Anyway the overall here is still good enough, if compared with the other hostels around. It's kind of like brand. Buddy. is a sign of quality, because Buddy has many hotels in their contracts and businesses. So I'm the one who is pretty addicted with brand products (for something). Anyway, it's not always right. Considered from the review of 7.5 marks (very wonderful). As I've read some of reviews, this one I recommend . The shape of the building looks like Arab style. It's one of Khaosanby projects. So Khaosanby's quality and it remains good reviews such as good location, cleanness, not too much noisy. Very good one. The last one, I really like it so much, See the design and style, they are like Thai old and ancient style. See those wooden stripes, so beautiful. And it implies this 2-star hostel to be the Thai style location so well. Therefore, Let's find yours, If you want any help about travelling in Thailand, you can contact me If I can help I will.